The score and the statistics go a long way in showing how close the game was and Hawks coach Zico Coronel wholeheartedly agreed with that tonight. 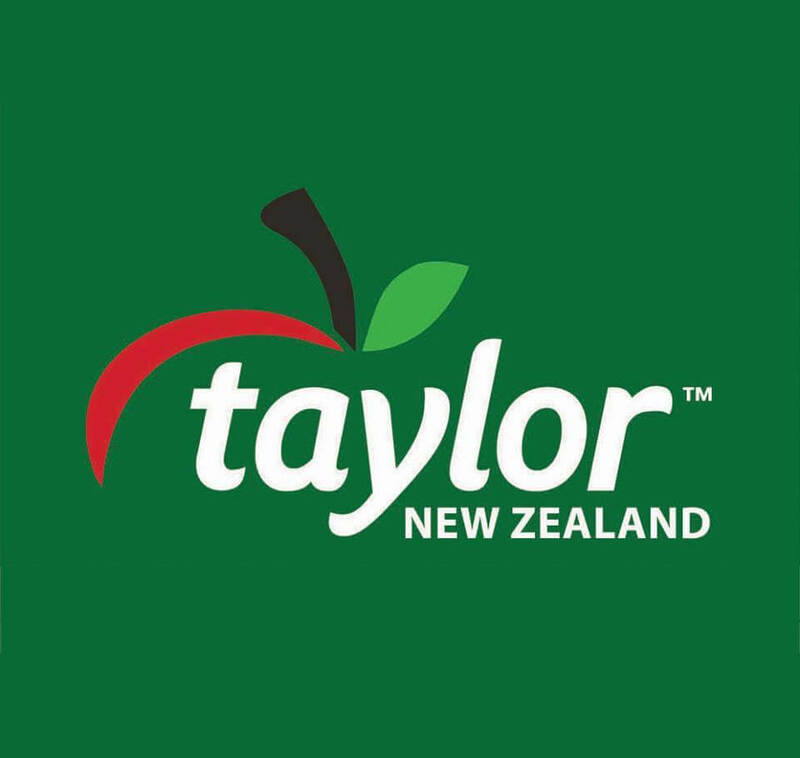 But don’t ever mistake Coronel’s dulcet, measured tone for contentment after Cigna Saints pipped the Taylor Corporation-sponsored Hawke’s Bay franchise team 80-77 in week five of the Sal’s National Basketball League (NBL) match in Wellington yesterday. That is not to say he didn’t think the Jarrod Kenny-captained outfit wouldn’t take something away from any encounter. It was the visitors’ second loss on the trot and their third in the campaign while the hosts carved up their fifth consecutive win after one loss. Saints had their measure 93-85 at the TSB Arena a fortnight ago but the Hawks will have a chance to redeem themselves when they reload at the Pettigrew-Green Arena, Napier, on Sunday, June 10, in a 3pm tip off after playing The Wheeler Motor Canterbury Rams at Cowles Stadium, Christchurch, in a 7pm start this Friday and the Mike Pero Nelson Giants at the same time the following night at Trafalgar Centre in a double header. Coronel said it hardly mattered whether a team lost by a sliver or, as they did to the SIT Zerofees Southland Sharks in Invercargill the previous Saturday, by a yawning 30-point margin. “There’s no way you can play the perfect game because there’s always things to improve on,” he said, mindful a side could savour championship glory on imperfections with a finite time invested in players. 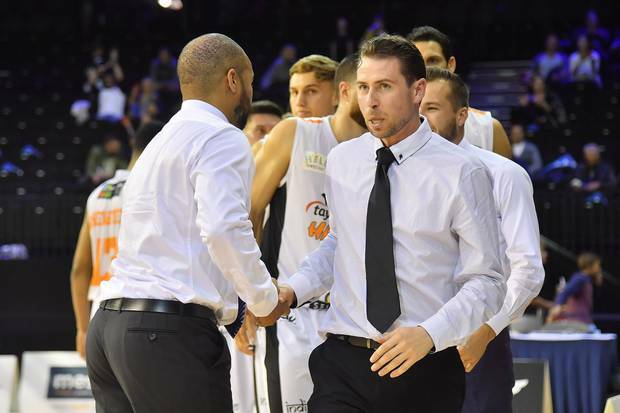 Coronel said he and Go Media Manawatu Jets coach Tim McTamney were going through the score ratings in the NBL on Saturday and how high they were and removed from the other leagues in the world. Saints point guard Shea Ili, who claimed a game-high 27 points, again proved to be the Hawks’ nemesis. 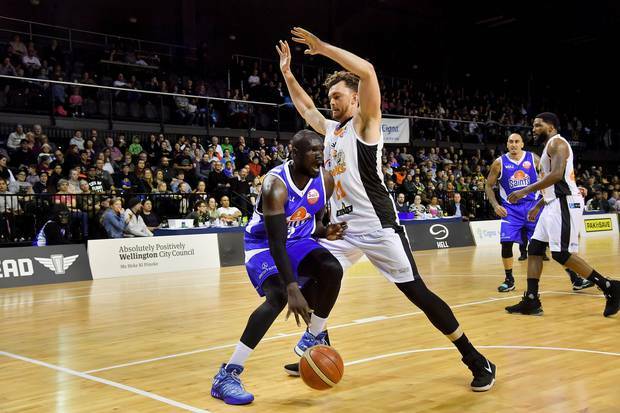 LJ Peak scored 19 points while Majok Majok added a double-double 13 points and 15 rebounds to the Saints’ cause. Hawks’ Boomer centre, Angus Brandt, emulated Majok’s feat with 19 points and 13 off the glass while Tall Black Ethan Rusbatch scored 18. Point guard Kenny gleaned 14 points and veteran shooting guard Everard Bartlett added 11 off the bench. The intensity of the match saw him and Saints coach Kevin Braswell use key players for a lion’s share of the game because of its playoff nature. BJ Anthony (Saints) got 5:44 minutes while Hawks veteran Kareem Johnson didn’t come off the bench at all. The Saints had rolled out Anthony, on a plus/minus one, which was deceptive but the last time the Hawks were able to exploit him and that might have been on the minds of Braswell and Co. So how do you put a leash on Ili? “That is going to be the story for them [Saints],” Coronel said, revealing both sides were struggling to score at the start of the third quarter. “We’re talking about someone who, about four years ago, was playing for a bad Rangers team as a back-up guard where you would literally guard him in the key and he would bail them out. He lauded the New Zealand Breakers player for taking something that was a weakness, that is shooting, for him and turning it into a weapon. “He is beginning to reap the rewards of that work by being a winner more often than not. He’s going to be the MVP of our league because he proves that night after night. “We try to minimise him more than most because he’s been averaging nine and half free throws a game,” he said, backing it up with other miserly statistics that backed up his claims. Coronel said he didn’t expect individuals to boost their deposits in Hawks’ bank because it was unreasonable for players to do that every game. For example, Hawks swingman Dion Prewster managed seven points in 28:47 minutes but he felt as long as he was aggressive his teammates would rally around him. “We’ll have your back, make or miss as long as you make the right decisions,” he said. Ditto US import power forward Jamie Skeen who, in 32:40 minutes, made only two points and took three rebounds after scoring 29 in the sides’ encounter. Coronel felt the hosts would have made Skeen a special part of their preparation yesterday with Saints captain Leon Henry would have taken exception to their last match up and ensuring there was no repeat yesterday. The American, who hobbled off with an ankle injury, had shot a basket from six attempts but the coach felt it wasn’t enough to gauge his worth on such lean pickings. Coronel had no qualms about playing a double header next on the proviso that the court dimensions would remain the same. Staying unified and optimistic with a penchant for learning was his edict to capitalise before facing the table-topping, one-loss Rams first up. “They pose a significant challenge and their three imports are first, second and third in the league in minutes so they have been very productive. Learning about Canterbury in an attempt to be better than the hosts would be on the agenda, he said. 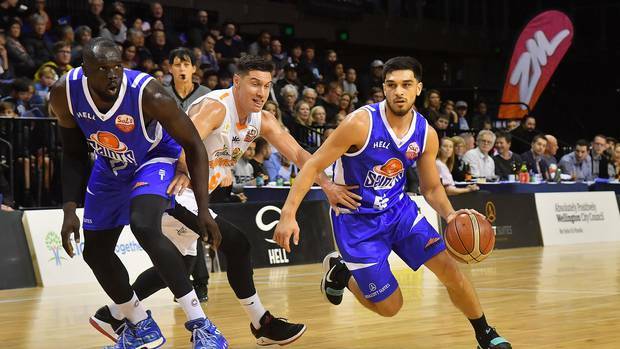 Cigna Saints 80 (Shea Ili 27pts, 4 reb, 4 assts; LJ Peak 19pts; Majok Majok 13, 11reb) Taylor Corporation Hawks 77 (Angus Brandt 19pts, 13reb; Ethan Rusbatch 18pts, 4reb; Jarrod Kenny 14pts, 5reb, 3 assts; Everard Bartlett 11pts). Quarters (Saints first), 1st: 14-20. 2nd: 38-40 (24-20). 3rd: 54-53 (16-13). Final: 80-77 (26-24).